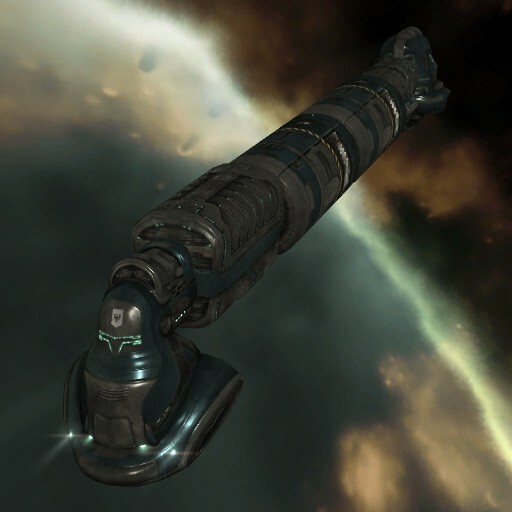 Like the Miasmos, the Epithal is a specialty industrial ship introduced in the recent Odyssey patch for EVE Online. Where the Miasmos has a generous dedicated bay for hauling ore, making it superb for supporting mining gangs, the Epithal features a dedicated bay for planetary interaction (PI) commodities. What's so great about Planetary Interaction? PI is a great way to make some semi-passive income. Once you've decided what to make, selected your planets, and set up your PI lines, you only need to check in every so often to keep your production going. I have three characters, each with good PI skills, who all make PI stuff required for making POS fuel - very useful for keeping a small player-owned starbase operating at lower cost. I'm lazy, so I've set all my lines on 7-day intervals - I only have to check on them once a week to make sure they are all running properly. Other players who take PI more seriously make more advanced items using shorter, higher production times, and sell their items in the market. You can adjust the rhythm and complexity of your PI to whatever level you are most comfortable. As any "PI-bear" knows, you have to pick up your items from time to time, using each planet's customs office. Since I do all of my PI in high security space, this is just a matter of firing up the trusty Iteron Mark V and visiting each planet every week or so, to complete the necessary transfers. However, doing PI in spaces with higher risk - low sec, 0.0 and wormholes - produce items at higher rates. This makes PI more lucrative, of course, but it also means that you need more space in your cargo bay to truck your items around. The Epithal, with its dedicated PI commodities bay, is now the perfect answer for high volume PI deliveries. With Gallente Industrial skill trained to level V, the Planetary Commodities bay on the Epithal is a whopping 67,500 cubic meters - plenty of room for even the most prodigious of PI producers. The Epithal is very similar to the Miasmos in most respects. The slot layout is the same (4 low, 4 medium, 2 high, with 3 rig slots). But the Miasmos is slightly larger, and it has a larger capacitor (725 compared to the Epithal's 688). This makes the Epithal a bit harder to keep cap stable. But the Epithal is slightly more agile - its align and warp out times are one second faster. This is handy for PI pick-ups, which need to happen quickly in dangerous space. It is therefore tempting to fit the Epithal the same way as a Miasmos, but one should consider how you are going to use the ship. You are most vulnerable when you land at a customs office - everyone knows where that is, and can simply hang out there and wait for you to arrive. Smart Epithal pilots therefore always use directional scan to look for bad guys before warping to the next customs office for a pick-up. When not in high-sec, that means getting to a safe spot and under a cloak, so fitting a cloaking device is a must. You also want to get in and out quickly at each office, so fit for speed. Agility rigs and a nanofiber will reduce your warp-out time to 8 seconds, with good skills. You also want to fit your Epithal to evade a tackler. Assuming they may fit dual tackling modules, that means being able to withstand three points, so three warp core stabilizers are recommended. Finally, you need enough of a shield tank to withstand any incoming damage before you GTFO, away from an attacker. My recommended fit provides 15,244 EHP. Here's my recommended fit for low-sec PI pick-ups. You can use this in high sec, too, though I tend to use a regular indy there. You can get up to 15,700 EHP if you swap the Thermic amplifier for an active module, to get higher resists, but then you won't be cap stable, and you'll have to fiddle with the shield modules constantly. If you are serious PI producer, the Epithal is a great ship to have in your inventory. IN the next post in this series, I suggest some fitting advice for another of the new industrials, the Kryos - the refined mineral specialty hauler. Posted in Fitting and tagged with Eve Online, fitting, Epithal. September 27, 2013 by Neville Smit.